L3 Narda-MITEQ offers a full line of analog and digital PIN Attenuators with attenuation ranges of 60 dB on all of our standard products. We also offer custom products including an 8-bit digital attenuator with an LSB of 0.125 dB and maximum attenuation of 80 dB. 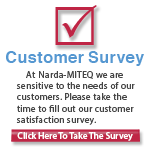 L3 Narda-MITEQ can customize the electrical specifications and packaging to meet your specific requirements even over octave bands. 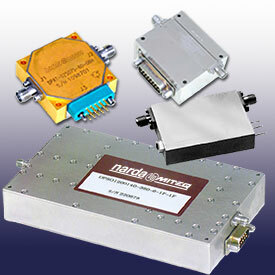 generous warranty and most are available as RoHS Compliant components.